Did they just have a bad translation, or does "silver" refer to some broader range of hues in Japanese? Or maybe Milim has some sort of weird color blindness, or sees only in black and white? 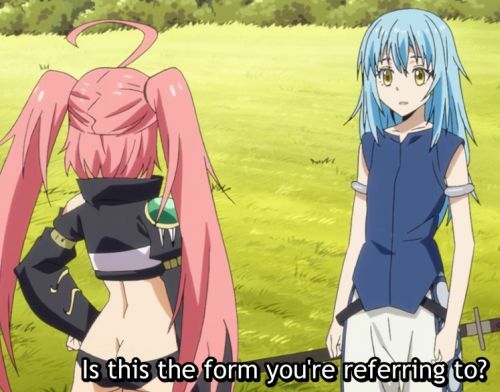 I'm pretty sure most watchers have assumed Rimuru's hair color is blue, the same color as his slime form. Well, in the original web novel Rimuru's slime form is silver and the human form is described as having silver hair. But in the light novel and manga adaptations they changed it to blue. The anime's art and story are more closely based on the manga than the webnovel, so I'd guess that's why he appears as having blue hair in the anime too. In the scene you're referring to, Milim does actually call him silver-haired and it's not a bad translation. Maybe blue just looks better on screen, I don't know why they do this. Although, there are some other anime too where the hair color looks different from what it's supposed to be, I don't pay it much heed.